JUNG YEON-JE/AFP/Getty ImagesPeople watch a television news report showing pictures of US President Donald Trump (L) and North Korean leader Kim Jong Un at a railway station in Seoul on March 9, 2018. North Korea will hold “track 1.5 talks” with the US and South Korea this week in Finland to discuss a US-North Korea summit and an inter-Korea summit. There are three types of talks between countries. Track 1 is official, track 1.5 is unofficial and involves government staff as well as external experts, and track 2 doesn’t involve the government at all. A North Korean diplomat responsible for relations with the US will be holding semiofficial talks with South Korea and the US in Finland this week, the foreign ministries of South Korea and Finland have confirmed. After boarding a flight to Finland from Beijing, Choe Kang Il, North Korea’s deputy director-general for North American affairs, is expected to discuss a US-North Korea summit, which President Donald Trump said would happen by May, and an upcoming inter-Korean summit. The talks have been described as “track 1.5,” referring to three types of meetings between countries. Track 1 meetings: These are normal, official talks between government officials on both sides. Track 1.5 meetings: These are unofficial talks. 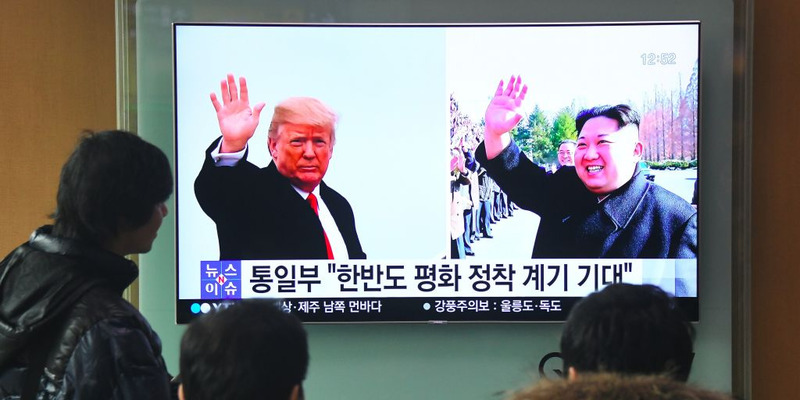 North Korea nearly always sends government officials, but the other party sends a mix of government personnel – such as diplomats and intelligence officials – and highly-regarded, non-government experts. A number of track 1.5 talks have occurred between the US and North Korea since Trump was elected. Track 2 meetings: These are unofficial talks. Again, North Korea often sends government officials, but the other country will send only non-government experts. These talks are used to discuss conflicts or prevent misunderstandings between countries, and participants can generally be more forthcoming and open. Delegates tend not to be debriefed by oficials, but what they learn is shared between experts inside and outside government. These talks are the most common between North Korea and the US, and have occurred for decades in capital cities around the world. This week’s track 1.5 meeting will be slightly more constrained but it is set to have more immediate and serious implications. According to diplomatic sources cited by Yonhap, attendees are expected to be South Korean security experts and former US ambassador to South Korea Kathleen Stephens. Local media said the meeting is set to take place in Helsinki’s Japanese embassy.